Uniforms are a commonly misused and abused tax deduction. The IRS says work clothes are only deductible as “uniforms” if they're not suitable for everyday wear. So does your work attire qualify as a “uniform” for tax purposes? Cops, firefighters, baseball players, and mechanics all have “uniforms” you wouldn't wear to an ordinary dinner (or at least you shouldn't!). Ordinary dress clothes for work, such as a suite & tie, do NOT fit in that category because you could wear them for a personal event. For example, financial planners who wear slacks and a button-up shirt to work are NOT able to deduct that attire as a business expense. This is because they can wear that same outfit to dinner. Remember, if you use those work clothes outside of work, they aren’t deductible. ADVICE: Please don’t start wearing your clown outfit to our office so you can justify a tax deduction! Dry cleaning is only deductible for eligible uniforms. This means dry cleaning for your ordinary clothes is NOT tax deductible. 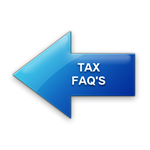 Have a question on the tax deductibility of a business expense? Contact us and we’ll be happy to help!